A striking detail of the Groove bed is the soft and casually upholstered headboard with a horizontal deep pleat. Groove guarantees you pure comfort. 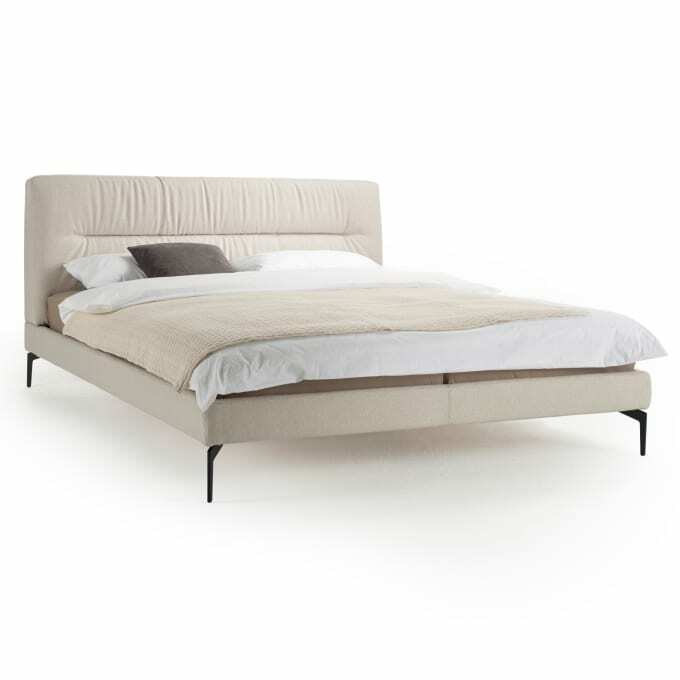 The Groove upholstered bed with its simple, all-round bed sides is available in various fabrics and leathers from the Möller Design collection. The headboard is supplied with a fixed cover with tensioning fabric on the back. The sides of the bed have a removable velcro blind. From a bed width of 160cm Groove is manufactured with middle support and support leg. Do you have a question about "Groove"? How can we contact you?